Rain has forced the temporary closure of the access route known as Powerline Trail, between Bobcat Ridge Open Space and Storm Mountain area neighborhoods isolated due to flooding. Wet conditions are quickly degrading the trail in conjunction with the increased traffic of residents affected by the recent flooding. As a result the trail is closed until the area dries out and the trail can be inspected for damage. Repairs could be necessary before reopening. Local property owners plan to continue working with flood victims that desire access as soon as trail conditions stabilize and needed repairs are made. Resident credentials are required for anyone going behind the checkpoints and roadblocks. As a result, the Sheriff’s Office will continue to remain at the gate at Bobcat Ridge to credential those needing access to their properties via this route. Personnel will be present tomorrow and through the weekend despite the temporary gate closure. Individuals found behind the checkpoints and roadblocks without credentials will be cited. Patrols will be active in all areas. The Larimer County Sheriff’s Office Posse is now patrolling the remote areas on horseback. Highway 34 is closed between Glade Road and 23H is open to residents only. As access becomes available to areas affected by the flood, the Larimer County Sheriff’s Office will be requiring registration and credentialing to enter these areas and will be limited to residents only. These areas may only be accessible by means other than a regular passenger vehicle, such as by ATV, hiking, horse, etc.. It is highly recommended that the area of the Big Thompson Canyon (Highway 34) between the mouth of the canyon west to Drake be avoided. Registration and credentialing are required for those residents attempting to gain access. A photo ID and proof of residency (utility bill, tax statements, etc.) must be presented to be issued credentials. 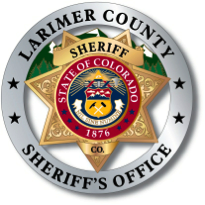 Registration and credentialing will be available at the Larimer County Sheriff’s Office located at 2501 Midpoint Drive in Ft. Collins, between the hours of 9:00 a.m. and 4:00 p.m. Monday through Friday. Credentials may also be obtained at the Disaster Assistance Center located at 815 14th Street SW, Building B in Loveland on Tuesday and Wednesday, September 24th & 25th from noon to 7:00 p.m. In the Estes Park area, credentials are also required and may be obtained at a given checkpoint or at the Estes Park Police Department. Residents may access Highway 43 down to Glen Haven with regular vehicles. The Meadowdale area and Highway 34 to mile marker 72 is also open to residents. The Retreat by Glen Haven is only accessible on foot. Residents of Pinewood Springs may hike in on Highway 36 from the Larimer County side. Credentials are required for this area and may be obtained at the checkpoint or at the Estes Park Police Department. Residents attempting to get back to their homes will encounter many hazards and will enter at their own risk. The Larimer County Sheriff’s Office cannot guarantee the safety of residents who enter these areas or guarantee that deputies will be available to provide assistance if needed. Regular patrols are being conducted including patrols by the Larimer County Sheriff’s Posse in the remote areas. Individuals without credentials will be cited. For all the information on both the Disaster Assistance Center and Distribution Center please see the website http://www.larimer.org/flooding2013/ . The Joint Information Center is now closed but the public information line recording on 970-498-5500 will be updated for the near future. For life threatening emergencies, dial 9-1-1. Sign up to receive emergency notifications on your cell phone and email at leta911.org. See http://www.larimersheriff.org/site-page/frauds-and-scams for additional information and tips on scams and what to do if you have fallen victim to a scammer. Site contents copyright © 2019 Recorder Online	except as noted. All rights reserved. | 92 queries in 2.215 seconds.